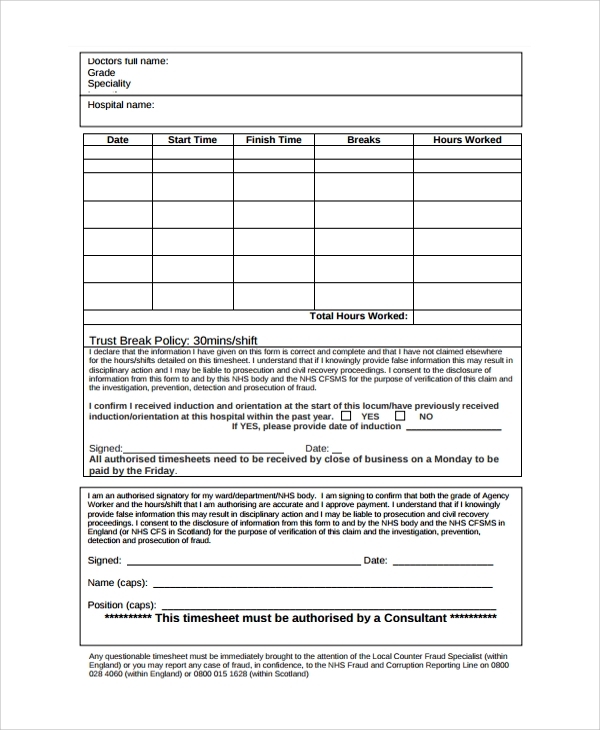 This timesheet is especially for doctors about their schedules, patients visits, operation handles, etc. 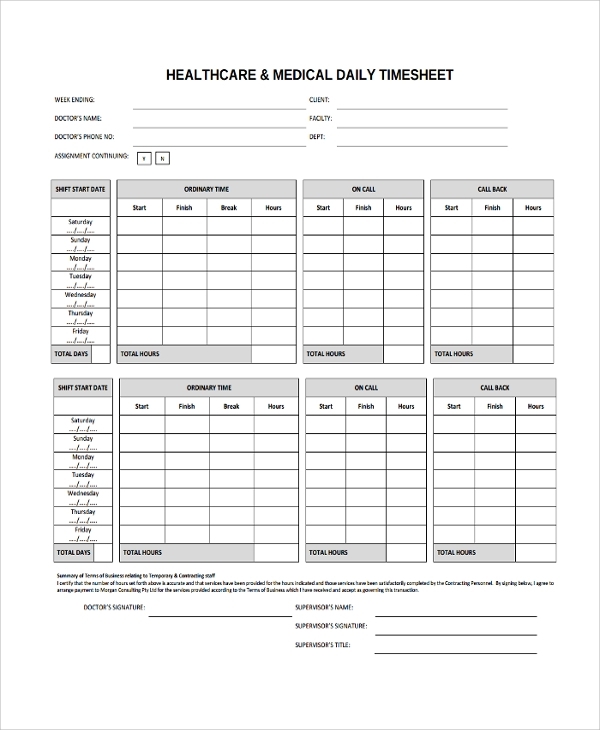 This timesheet is mainly used to understand the schedule of doctors. It includes the shift duty, on call and off call pattern, etc. 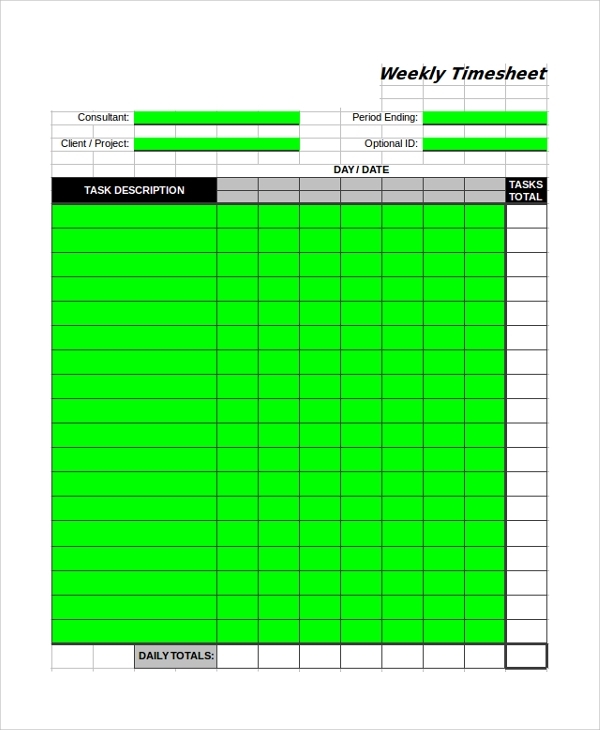 This timesheet pattern is used to track employees and their daily work record. 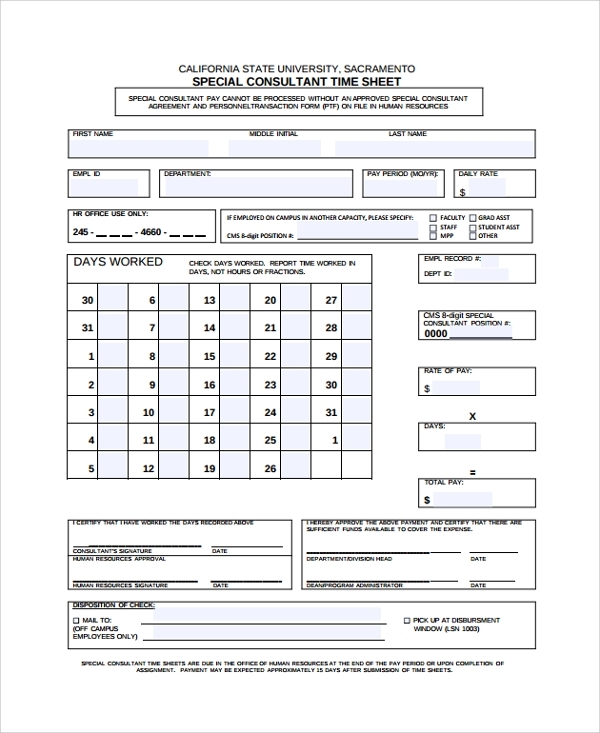 This timesheet can be used for sales employees and people who are working on field. 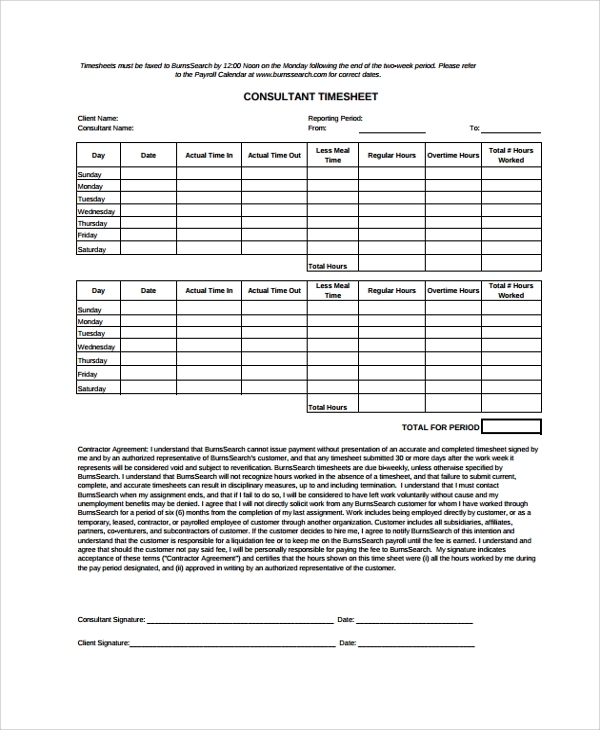 Each company follows this worksheet pattern to monitor each employee and their performance. 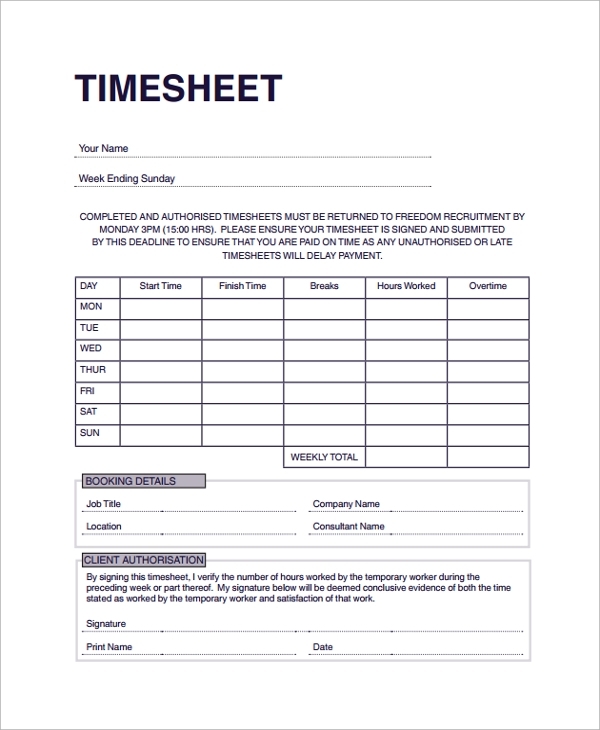 This timesheet is helpful for freelancers are special consultants who work on different dates and can be useful to track their work records. 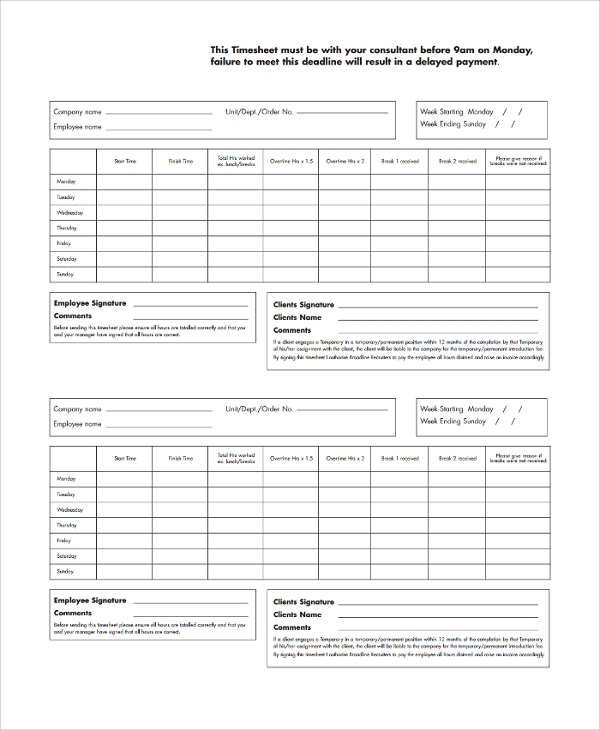 This is also a good and systematic way to track their payments. 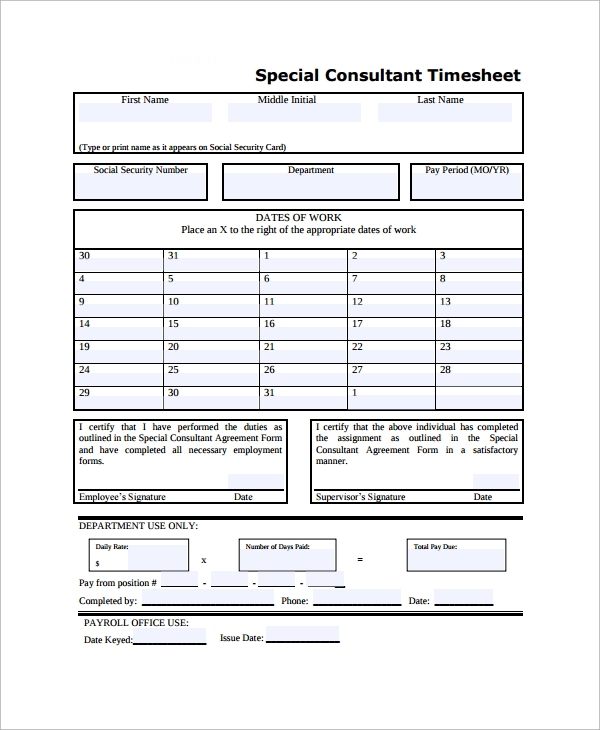 When do I need a Consultant Timesheet Template? 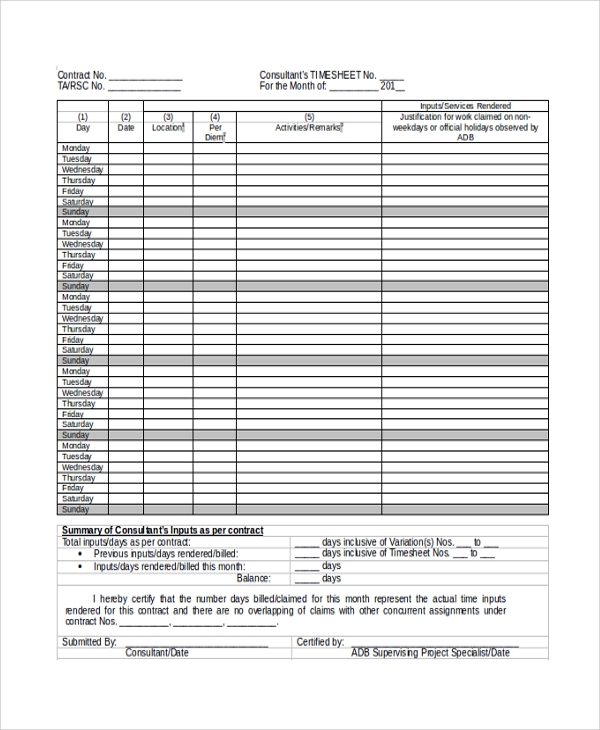 How to create / write Consultant Timesheet Template? It is extremely necessary to maintain timesheet and to keep a check on the workflow of employees of any company to increase their productivity. So what are you waiting for? 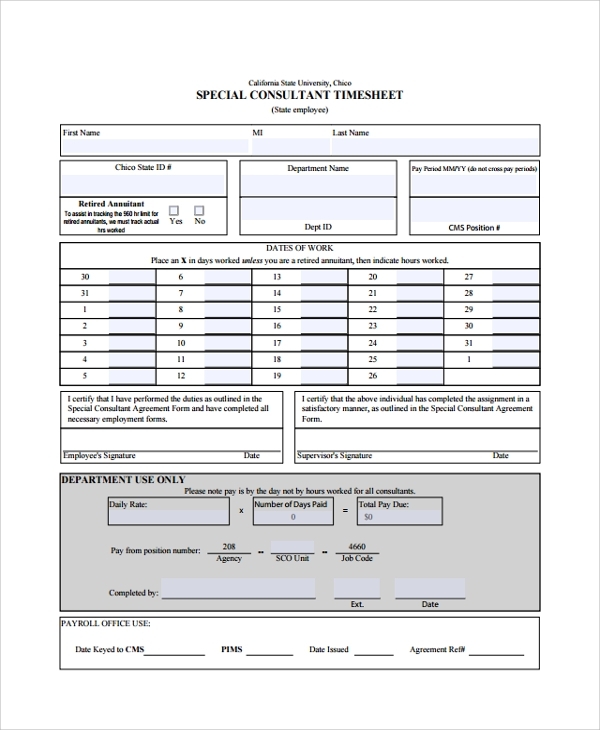 Just click on the desired consultant timesheet template and get it for you employees. Get effective manpower through your work management.